UFC 213 on July 8th in Las Vegas just got a great heavyweight scrap: the trilogy fight between Fabricio Werdum and Alistair Overeem. The UFC and Michael Bisping seem to be having some problems getting Georges St-Pierre to fight at UFC 213 on July 8th, but at least the rest of the card is starting to come together nicely. 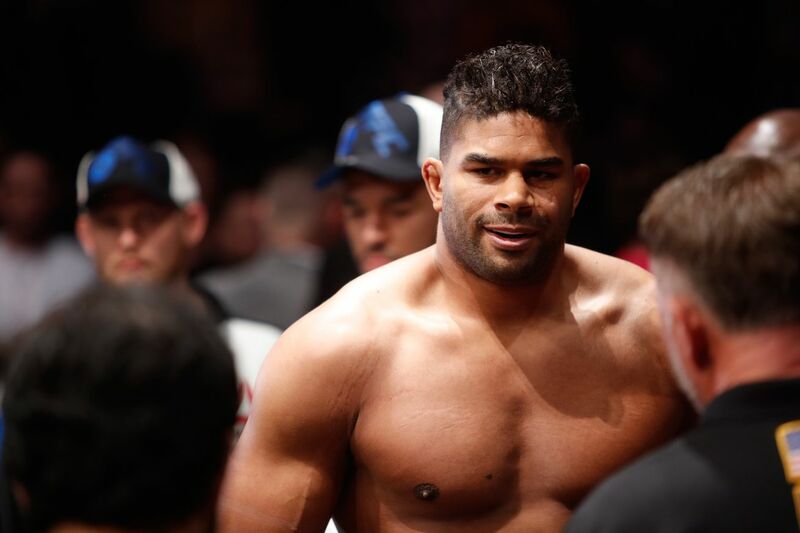 According to FloCombat, a heavyweight match up between Fabricio Werdum and Alistair Overeem will go down at the Las Vegas event which will be the culmination of International Fight Week. Werdum was originally set to fight Ben Rothwell at UFC 211 in Dallas on May 13th, but that fight got scrapped after Rothwell failed a USADA drug test. Now the Brazilian heavyweight will square off against the heavy hitting Dutch kickboxer for the third time. The two first met during the PRIDE 2006 Heavyweight Grand Prix back in 2006, with Werdum beating Overeem via kimura in the second round. Alistair got his revenge five years later in Strikeforce, eliminating Fabricio from the Strikeforce Heavyweight Grand Prix by decision. Now they’ll fight for a third time, and it’s very likely that a title shot will come to whoever takes the trilogy fight between the two of them. The bout is a clear sign the UFC is serious about making UFC 213 a blockbuster event, and we can’t wait to see what other fights get added in the weeks to come. And boy oh boy, there’s a whole lot of matchmaking to be done … in celebration of International Fight Week, the UFC has the T-Mobile Arena booked for three straight nights of fights starting with a UFC Fight Night on Thursday, The Ultimate Fighter: “Redemption” Finale on Friday, and UFC 213 on Saturday.